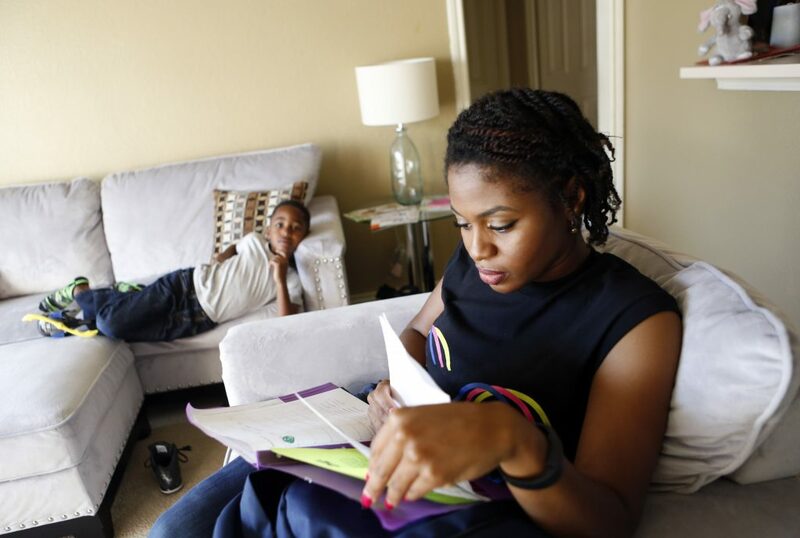 Single mom Jennifer Anderson thinks she’s endured her fair share of tragedy. 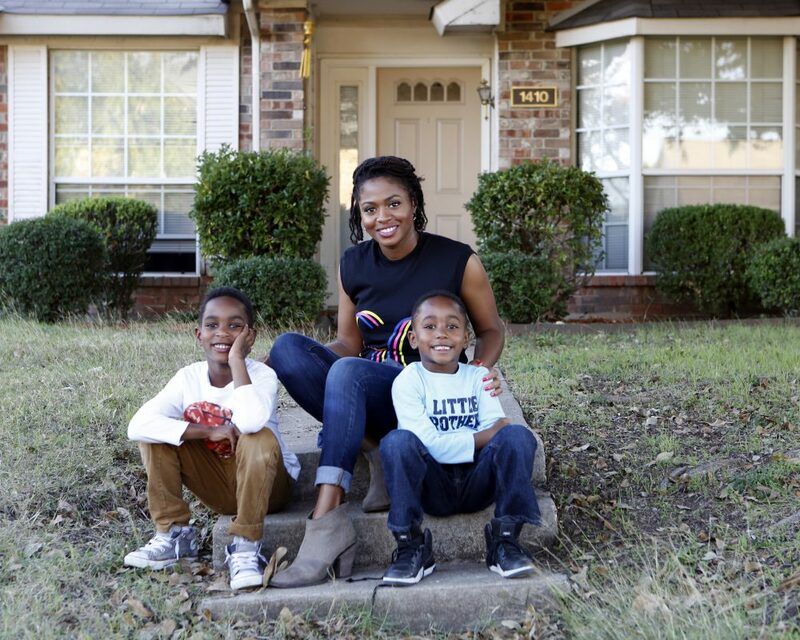 Last year’s tornado ripped her Garland apartment to pieces. She lost her husband to suicide just two years before. 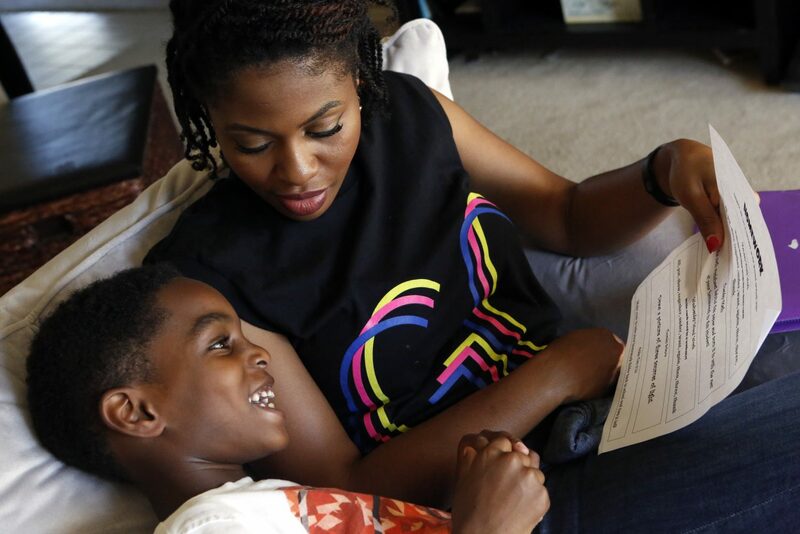 She’s resettled in a rental house now, but she can’t shake the feeling that a crisis could be on the horizon. It’s something she struggles with, even a year later. The after school scene at the Anderson house is, in a phrase, high-energy. 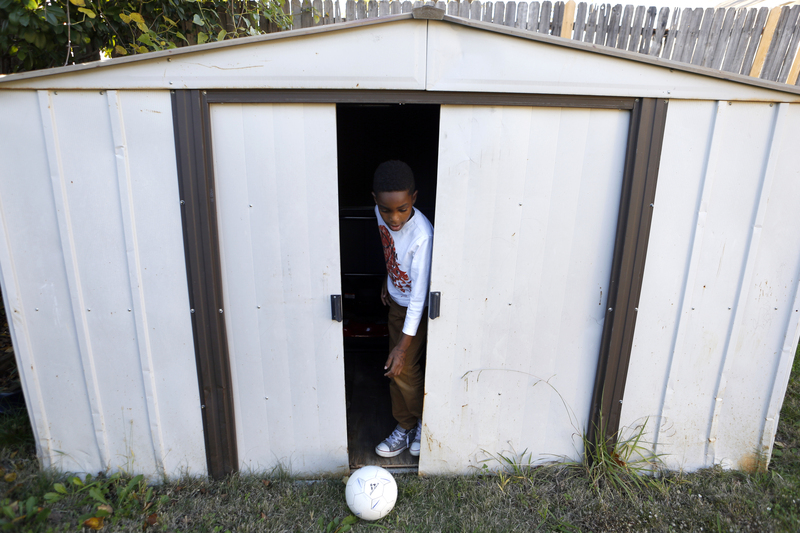 “Soccer outside, not inside,” Jennifer tells her two boys. Jayden is 7 and Jordan is 5. Impromptu soccer games and tree climbing are the norm. 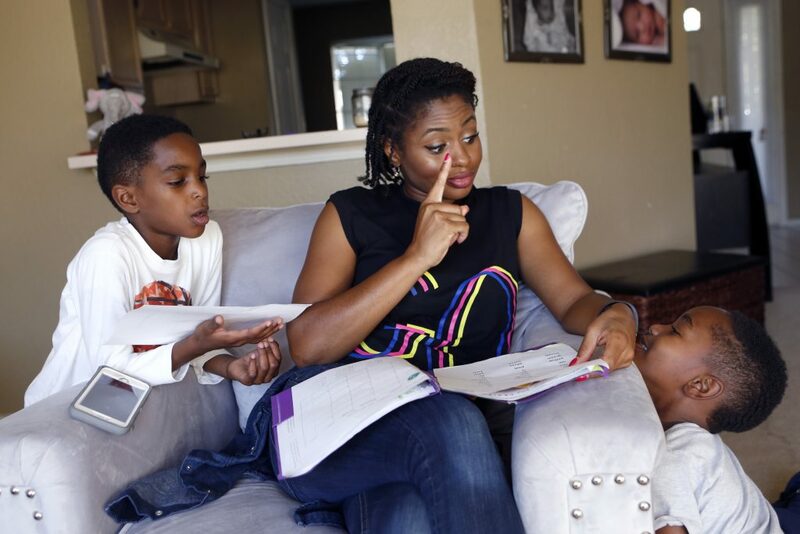 Mom makes sure spelling homework is on the daily to-do list, too. “Yellow. Good job,” she says as she reviews it. Jennifer, Jayden and Jordan are a tight-knit trio. 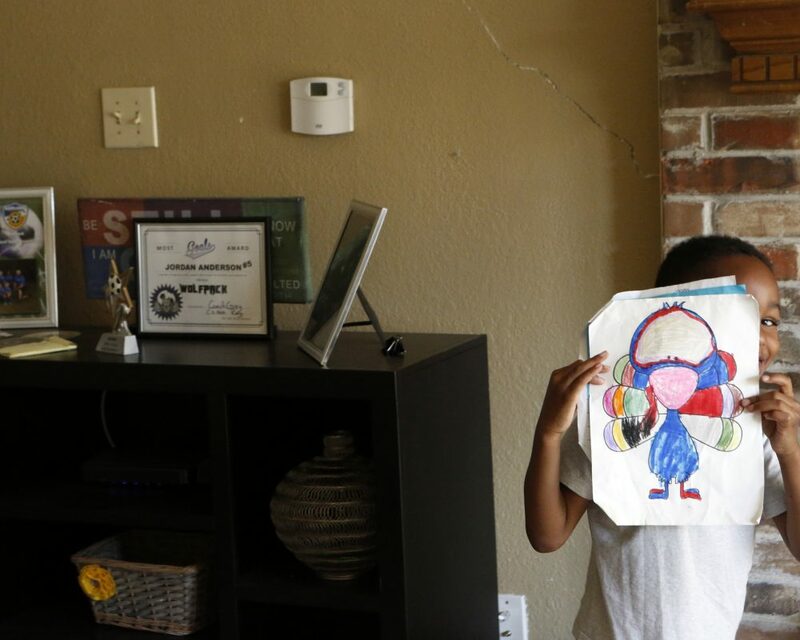 They’ve been through a lot — losing Dad to suicide in 2013, relocating to Texas to start over and then returning from a holiday trip to a shattered apartment — after a tornado tore through it. “It just ripped the whole wall, along with the roof, off the building,” she says. Jennifer had renters insurance, although her $10,000 policy didn’t stretch far enough to cover everything she lost. Furniture, mattresses, toys and clothes — what the storm didn’t ruin, the rain over the next few days did. 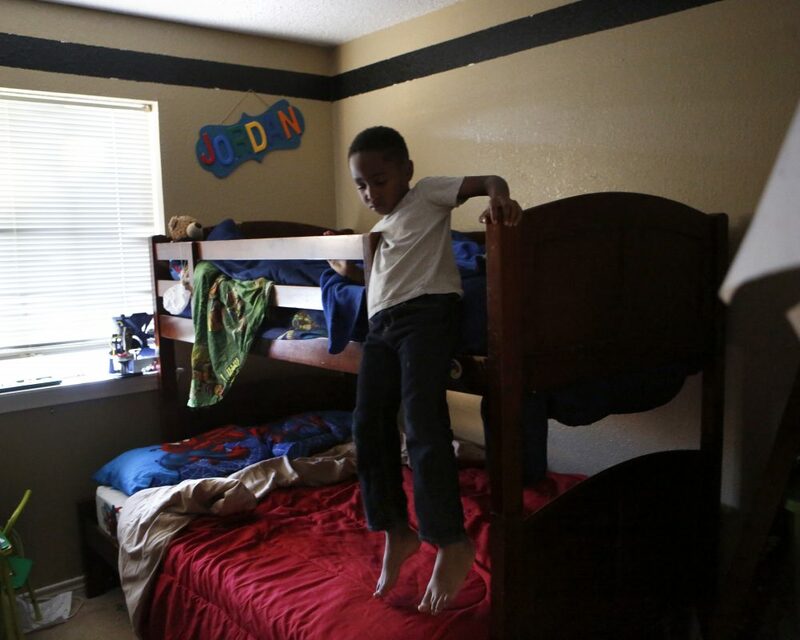 For three months, Jennifer, Jayden and Jordan lived in an extended-stay hotel while she looked for a new place to live. The rental market in the storm-hit area was tight. Competition was fierce because so many other people were looking and, Jennifer says, because she’s a single mom. Finally, she found a rental house in Garland she liked. It was a little out of her price range, so she has a housemate to help defray the cost. Now that she’s signed a lease, the house question has been answered. But as far as being at peace, she’s not there yet, she says. 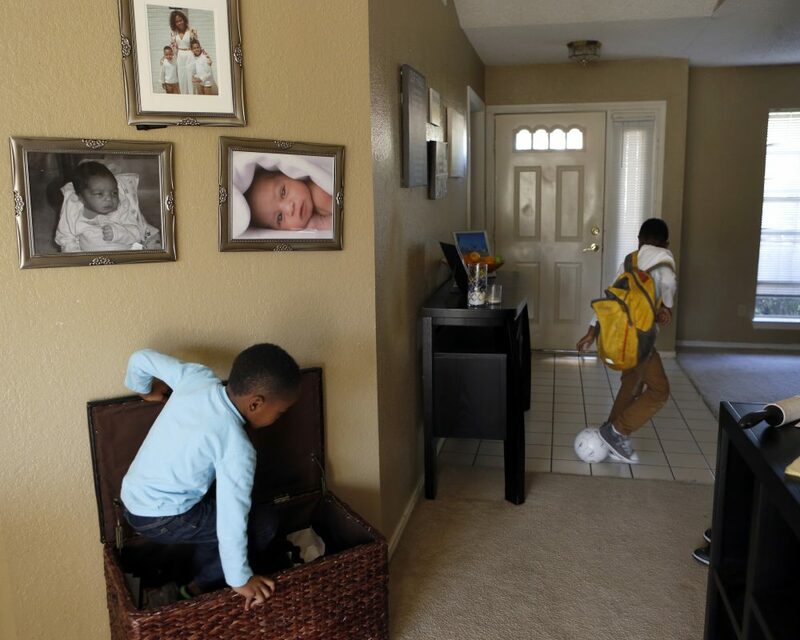 That kind of anxiety, feeling unsettled despite being moved into a new place, isn’t uncommon, according to social worker Valencia Alexander. She manages the senior services program for the City of Dallas and helped with counseling after the tornadoes on Dec. 26. “Initially, the adrenaline is rushing, you have all kinds of help. Everyone’s empathetic with you and then they think, ‘Well no, you should be OK, you’ve got a new house, maybe you’re in a different apartment,’ but you still have the fear of what you’ve experienced,” Alexander says. 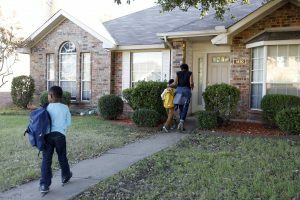 Jennifer Anderson and her son Jordan Anderson, 5, go over his homework at their rental home they share with a roommate in Garland. Their apartment was destroyed in a tornado in December 2015. Alexander says even renters like Jennifer have to get used to new realities — a different address, new furniture, an unfamiliar neighborhood. And while Anderson isn’t dreading the anniversary of the storm that wrecked her apartment, she’s still struggling to rebuild, even a year later. 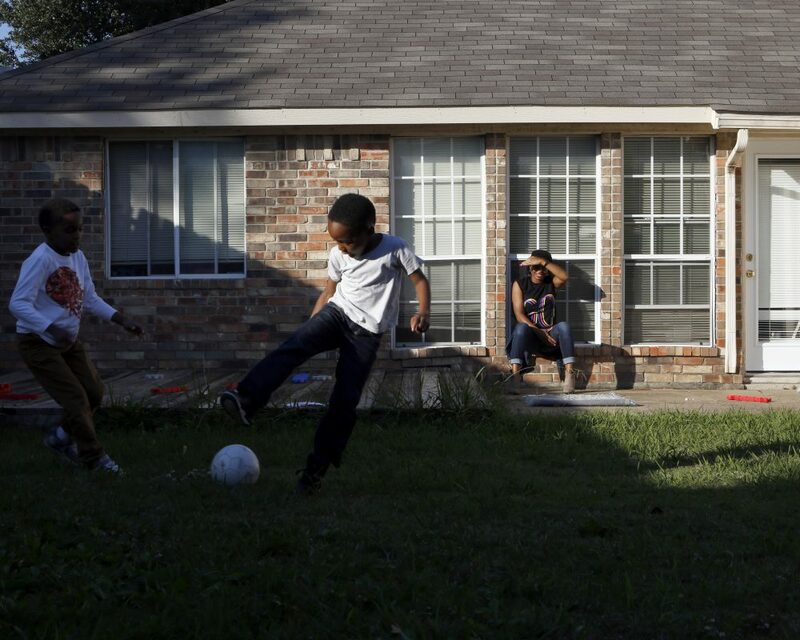 Jennifer Anderson watches her sons play soccer in the backyard after school at home in Garland. Money is tight. She’s working two jobs with flexible hours so she can be there for her kids after school and make enough money to hold up her end of the rent. It’s worth it, she says, to give her little family a home. 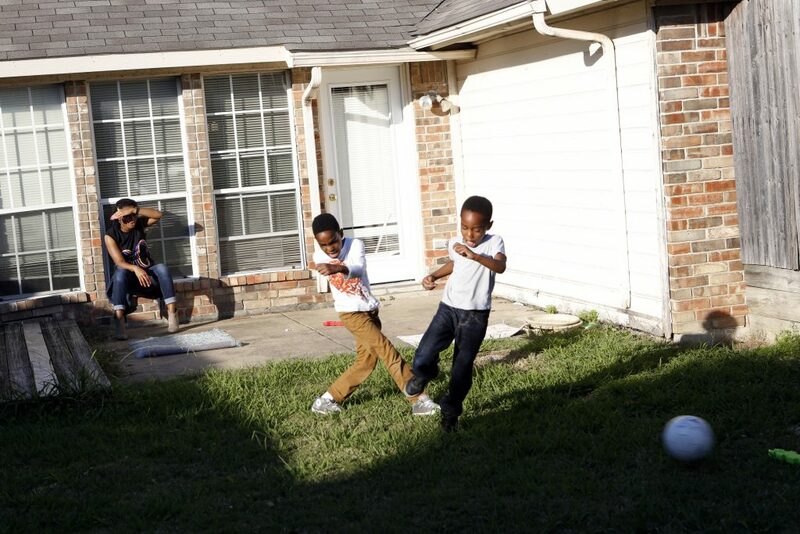 Most important, she’s determined to shower her boys with all the love and attention they need. That’s not always easy as a single parent, she says. There’s two of them — and just one of her. 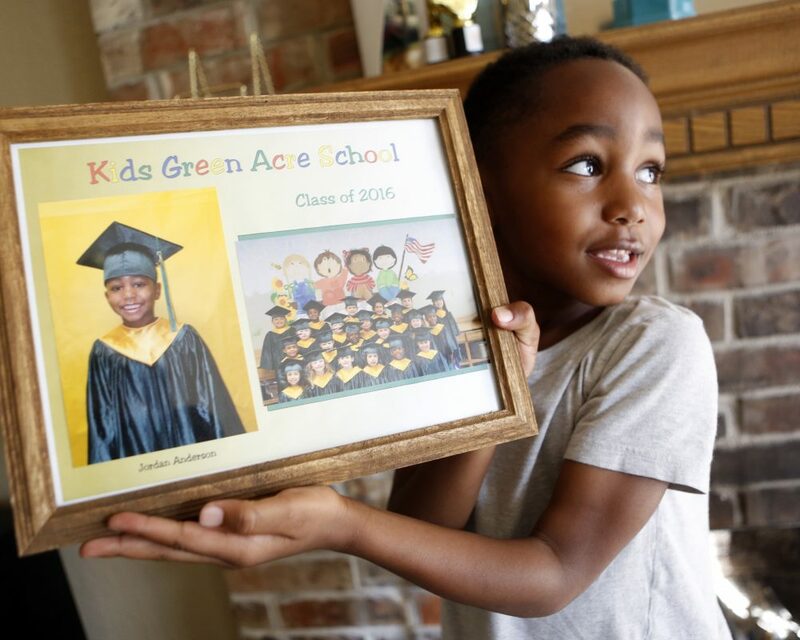 “What I’ve learned is no matter what happens, you can get through it,” Anderson says. And while Jennifer would welcome a serene and stable 2017, she says she’s ready for whatever life has to throw at her.